Singer Pink is clearly rocking the mama journey. The proof is in the sloth fundraising: Pink and Carey Hart’s daughter, Willow, wrote a report on the endangered animal just because she cares and is raising money on her own to donate to a sloth sanctuary. We. Are. Dying. The equation is too much: Willow plus sloths equals death by cuteness. I mean, just… can you handle this? We don’t think you can handle this. Because we can’t handle this. Ex-motocross racer Hart posted a photo of their daughter in full-on backstage fundraising mode, captioning it, “Willz has put together a fundraiser for sloths. Here she is selling copies of her report for 5 bucks to the band and crew at the show tonight! For an extra buck she will autograph it. Lil girl is way ahead of her time. Love that she chooses to do these types of things on her own.” Hart added the hashtag: #DoingHerPart. Um, we’ll take 40, please, all signed by the author. This little moment of a seriously awesome star’s big-hearted child is a very welcome palate-refresher after an onslaught of stories about spoiled-rotten Hollywood kids and the lousy parents (yeah, you, Lori Loughlin and Felicity Huffman and your spouses) who cheated and bribed to get them into top colleges. We’re not actually surprised Willow is so fantastic and badass. She’s with her mom and dad and baby brother, Jameson, most of the time, even on tour. The Inked singer often lets fans in on her parenting on social media, revealing her down-to-earth, rock-solid mama life like the above post about family dinner twice a week. 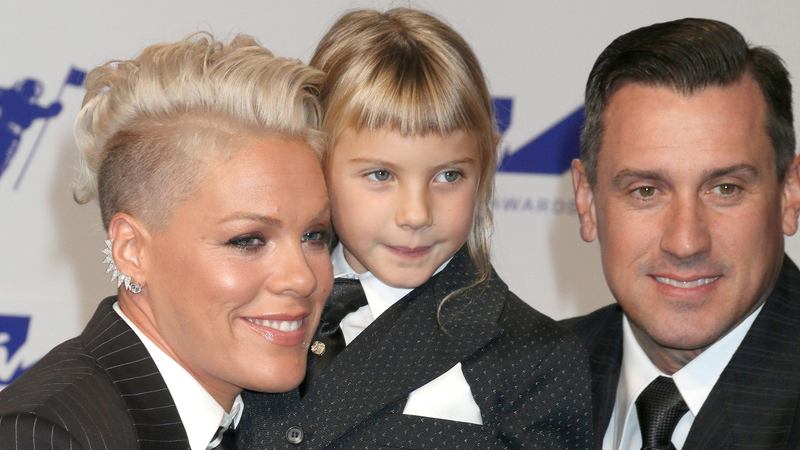 And don’t mess with Pink, trolls — not when it comes to her family. Hint: You’re not gonna win. Just look at that mama-daughter duo. Long live Willow, Pink and all the sloths. We stan all of you.